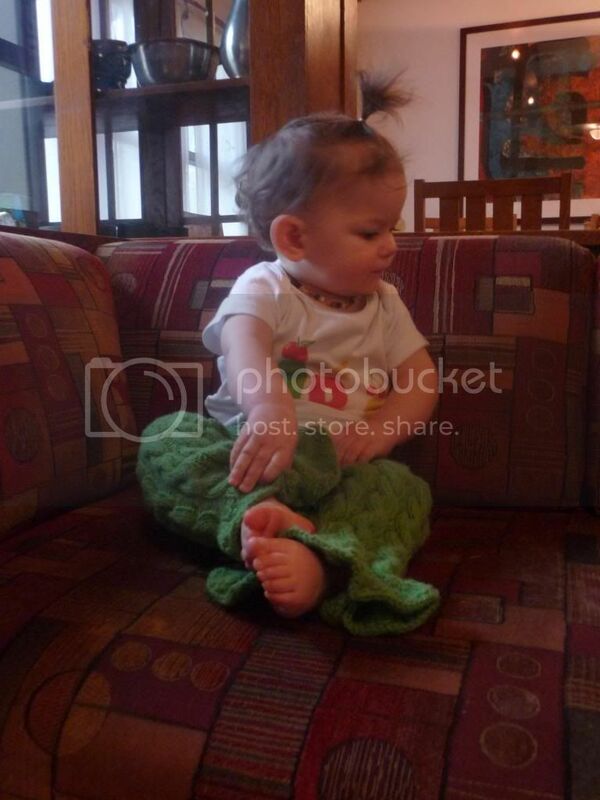 Pictures Added -- To ruffle or not and holiday top help. Update - Thanks for all your help. Here are some action shots of the ruffles. 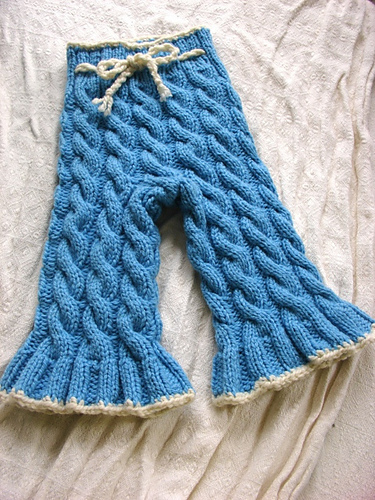 I made them too long because I kept knitting while deciding if I should add ruffles. 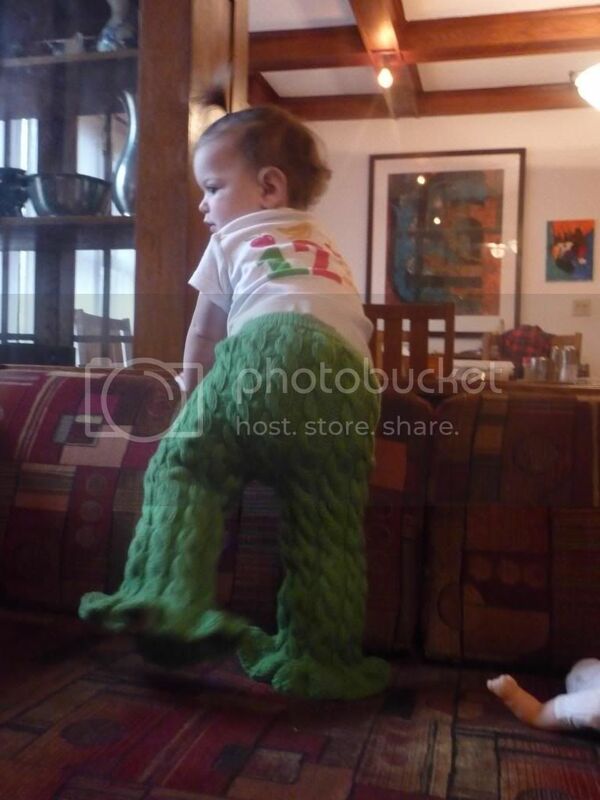 I am making a pair of twisty trousers on green cestari for my daughter's Christmas outfit. 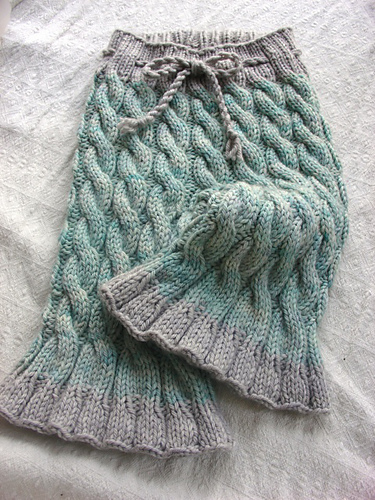 I'm getting near the end of the first leg and cannot decide if I should add a ruffle. I'm not really a ruffle person but I feel like I should girly them up a bit. If I do a ruffle what kind should it be? I also just sold the yarn I was going to use for the top so I am in search of shirt or dress ideas. Spam is welcome! Last edited by chickabiddy; 12-03-2012 at 12:00 PM. Personally (especially if you're not a ruffle person), I'd go without the ruffles. I think the cables are pretty girly as is, and just pair it with a top that is more girly. It's only cabled on the sides but I love these things. I looooove white/natural cabled longies. So cute. I prefer them with a pleated ruffle so it's not too frilly, though. Ruffle! Make it a small ruffle, maybe? Jessica, WOHM to Fletcher (4/07/09), Emmett (8/12/2014), sister to Ethan (10/07/93) and wife to Scott. Missing our lost baby, 9 weeks, 7/12/13.